Hi kids! My name is Buddy. Sometimes we may want a buddy to talk to about a problem we are having, if we are feeling sad, or if we would like information to help with a situation. 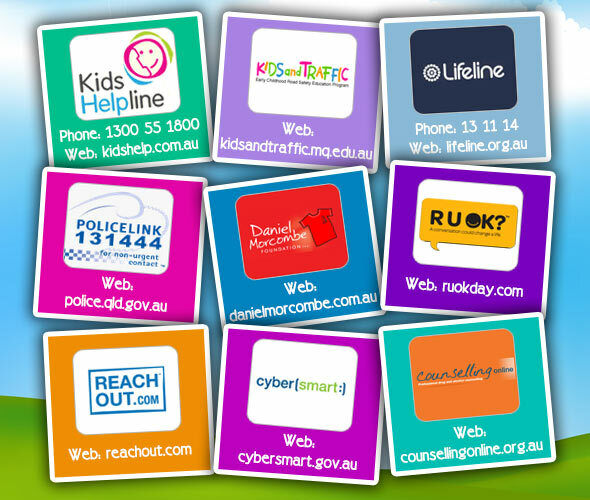 If you ever need help, you may like to visit the following resources which provide some very helpful information. If you know a friend that may be sad or would like to talk to someone in private, share with them the above links. Tip for Parents & Teachers: Check out the great article provided by Open Colleges called, 'How to Handle Bullying'.